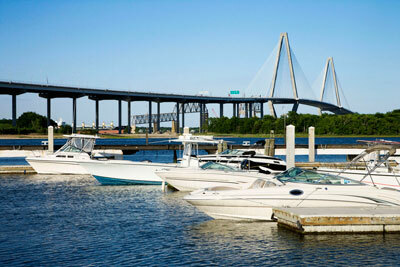 Can the RV Market Predict the Outlook for the Boating Industry in 2010? There’s a long-standing belief that the RV market leads the boating industry by about six months, and feedback from those in the RV and marine trades indicates that formula is holding true in this recession. Fleetwood and Monaco, two of the RV world’s largest manufacturers, filed for and emerged from Chapter 11 restructurings. While some components of the brands were lopped off or modified (or sold off entirely), both remain in business. Meanwhile, the marine industry’s second-largest manufacturer, Genmar, remains embroiled in a difficult bankruptcy process, with no clear sense of what the final outcome will be. Both industries have had to deal with credit crunches that have stunted their rebounds, and most forecast a long, drawn-out recovery. Suppliers and vendors to both marine and RV manufacturers have faltered precariously. Weakness in consumer confidence is keeping sales difficult to come by. 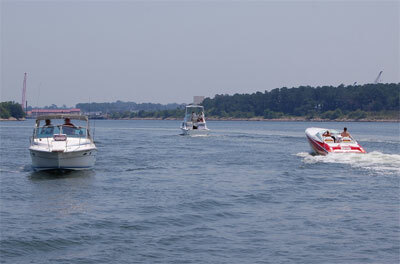 Those customers who are buying are tending toward smaller boats and RVs. But if the RV industry is a leading economic indicator, there are some reasons to be hopeful. Credit seems to be easing slightly, as RV dealers find both wholesale and retail financing options through local lenders who are looking to replace lost car dealership clientele. Shipments are increasing, meaning at best that improved sales are ahead, and, at worst, that dealers are clearing and replacing their aged inventory with new models. And whether the numbers support it or not, the prevailing perception is that the RV industry is doing better overall. 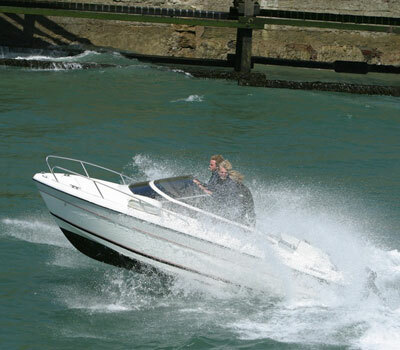 Both the RV and marine industries have lost dealers and manufacturers. The RV industry has counted 170 dealerships that have gone out of business since 2007, out of a total of 3,000, according to Phil Ingrassia of the National RV Dealers Association. It’s a small percentage, but it’s much higher than the typical 15 to 20 closings the RVDA tracks in a typical year. Some think the marine industry must contract more to shrink capacity to demand, but experts say it won’t become as small as the RV industry. 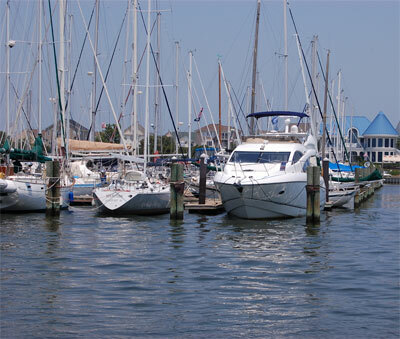 The NMMA estimates that around 20 percent of boat dealers have failed — some 1,500 of approximately 6,000. The marine industry is losing dealers more quickly than the RV industry because so many are undercapitalized and overstocked, says Phil Keeter, president of the Marine Retailers Association of America. RV dealers tend to have one or two brands, while it’s common for boat dealers to carry five or more, making the RV dealer more stable. Just as unemployment numbers tend to be a lagging economic indicator, the RV industry seems to be a leading indicator, says Mack Bryan, vice president of the RVIA. Though sales dipped similarly through 2008 and the first two quarters of 2009, according to Statistical Surveys data, the perception is that the RV side is rebounding ahead of the boating industry. “We’re definitely seeing the RV side recover quicker than we’re seeing the boat side recover, although there are still some similarities where maybe larger motor homes and larger boats are softer, and smaller boats and smaller trailer sales are improving,” says Chris Hoover of Ron Hoover RV and Marine Center, which has five locations in south Texas. After both industries focused on clearing out aging inventory, combined with a credit shortage, there is little product in the pipeline.The RV industry is also moving to a system that allows consumers to dictate production. That is especially true for dealers who sell higher-end motor homes, since those already were declining in popularity before the recession’s onset, says Mack Bryan, vice president of the RVIA. In 2006, that segment accounted for about 15 percent of the 390,000 units sold. Now it’s less than 10 percent, says Bryan. If the RV industry does, in fact, lead marine, that could be a cue for dealers who sell larger vessels to pay close attention to their inventories, Bryan says.